Like every reasonable person, I love to save money. It's especially satisfying when I can still purchase the things I want from the places I already shop. For me, I shop online at least 80% of the time. One thing I miss about shopping online is that I cannot "coupon". I'm not very good at that like some people are, but still, every bit helps. I love it when I find a deal or coupon code online for something I was going to buy, but I used to have trouble finding good coupons. 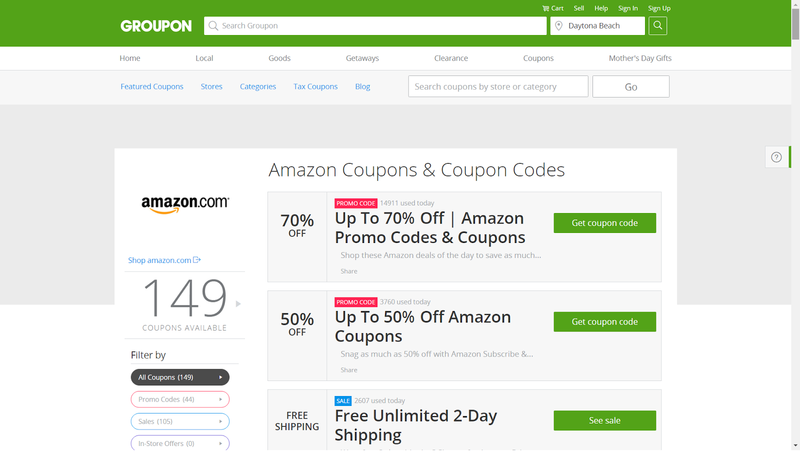 Most coupon sites are managed by user submissions and half the deals are expired and the other half are regional, making it hard to find one that actually works when and where you need it. That problem is all but gone now that I found Groupon Coupons. 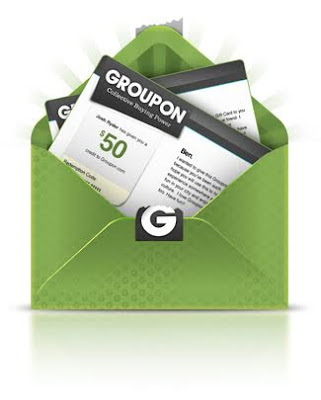 I have loved Groupon ever since I discovered it, and as I said before, have loved coupons since forever. Since I was a kid and pulled them repeatedly out of the dispensers even for things my mom wasn't buying. While not quite as thrilling as a coupon dispenser, Groupon Coupons delivers the deals. I already knew it was awesome, but when I realized there was coupons for Amazon, I made a squealing noise that I am ashamed of. I am glad no one else was around. Anyone who knows me knows that I am an Amazon addict. 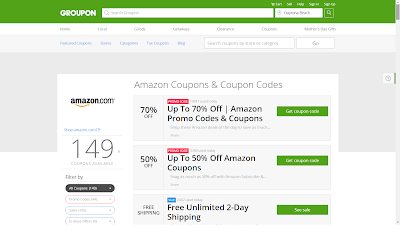 If you have tried Groupon Coupons I would love to hear about the best deals you've scored so far, your favorite stores to get deals for and what you are hoping to get a great deal on next, thanks to Groupon Coupons. I get a rush even thinking about saving money. Happy shopping/saving.